Nov 15, 2018 | Alexandria, Virginia (USA). 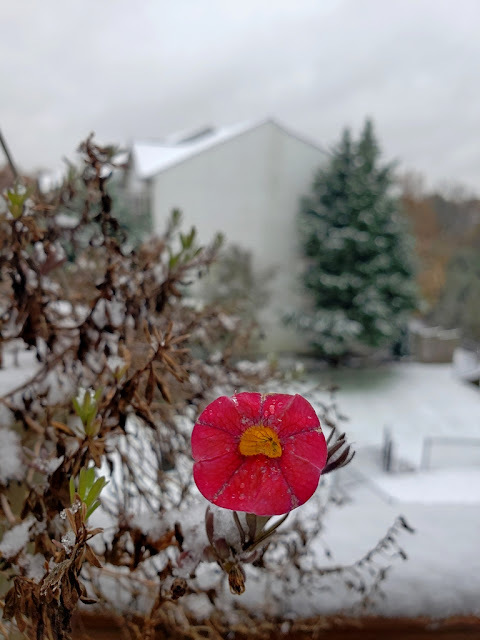 We are still in Fall, but we had our first snowfall and this lone flower on a near dead plant continues to stand tall. This sight fills me with a warmth just like a kiss would on this cold snow covered November morning.